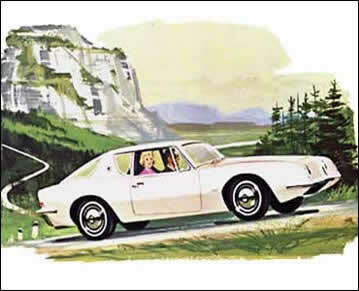 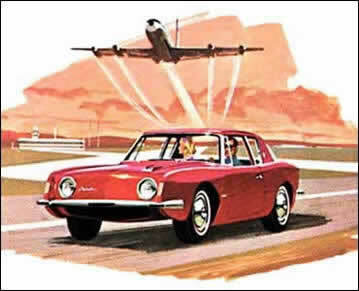 Period Illustrations of the 1963 Studebaker Avanti - These Illustrations from the early 1960's were probably intended for use in Studebaker advertising. 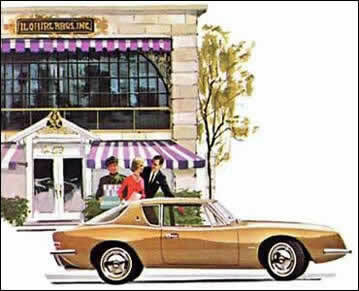 The illustrator has used a down-up-down curve to accent the coke bottle curve of the body (most prominent in the gold car). 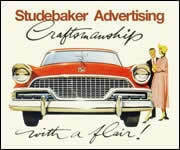 This portrayal gives an idea of how a horizontal straight line is reflected in the coke bottle-shaped side. 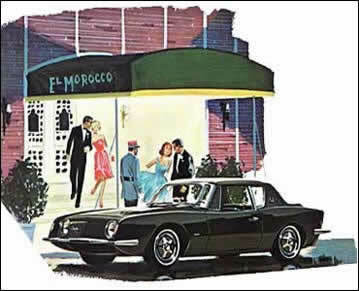 Night out at El Morocco.